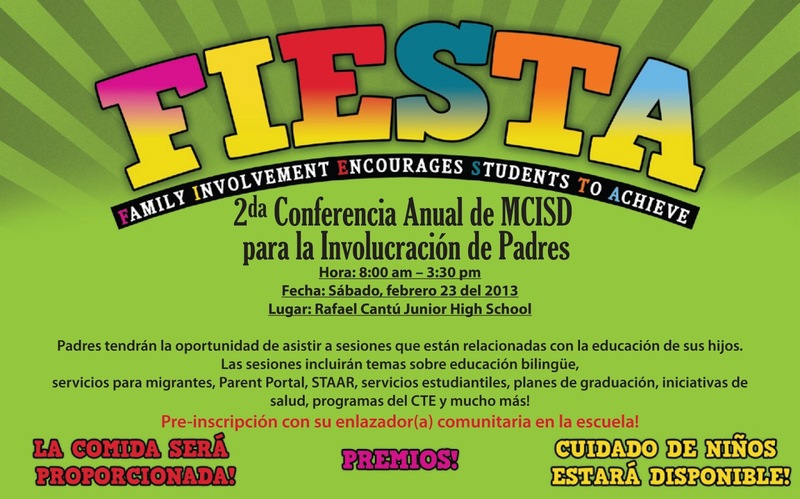 Mission CISD (Consolidated Independent School District) is hosting its 2nd Annual District-Wide Parent Conference on Saturday, February 23, from 8:00 a.m. to 3:30 p.m. at R. Cantu Jr. High School. A light lunch will be provided, door prizes given out at the end of the conference, and childcare available for attending parents. Any Mission CISD parent interested should pre-register for the conference by contacting the parent liaison at their child’s school as soon as possible. 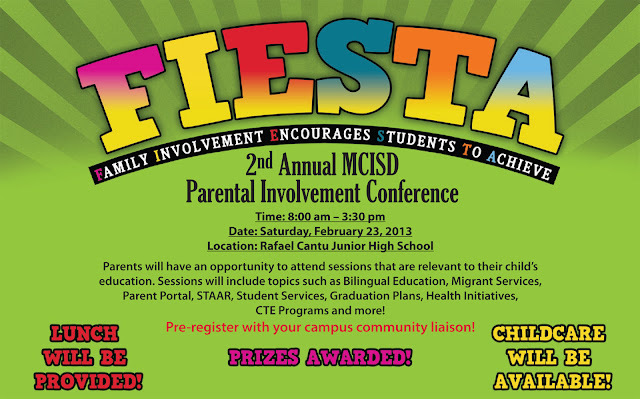 Event organizers are planning a wide range of concurrent sessions for parents to attend during the conference. Topics include: graduation plans, STAAR testing, Career Technical Education, bilingual education, migrant services, parent portal, health initiatives and more. The conference this year is taking on a FIESTA theme, Family Involvement Encourages Students To Achieve. Interested parents are strongly encouraged to pre-register.